*(Free For Kindle Unlimited) The Cadet (LitRPG. Squadcom-13. Book:1) (Deal, Not Free) by D. Rus. Price: $4.99. Genre: Science Fiction Deal of the Day, Sponsor, LitRPG, Cyberpunk, Space Opera. Rated: 4 stars on 88 Reviews. 224 pages. ASIN: B01M3UP684. *(Free for Kindle Unlimited) B The EXXtinction: The Only Hope for Man is a Woman (Deal, Not Free) by Santiago Mantilla. Price: $2.99. Genre: Post Apocalyptic Science Fiction Deal of the Day, Sponsor, Dystopian Science Fiction. Rated: 4.3 stars on 12 Reviews. 179 pages. ASIN: B014LUZ7VQ. ***Victim Zero (The Fall Book 1) (Deal, Not Free) by Joshua Guess, James Cook. Price: $0.99. Genre: Post Apocalyptic Science Fiction Deal of the Day, Sponsor, Science Fiction. Rated: 4.4 stars on 304 Reviews. 214 pages. ASIN: B00D8MMQRC. *Skylight Dying (Deal, Not Free) by Damian Sitaram Johari. Price: $2.99. 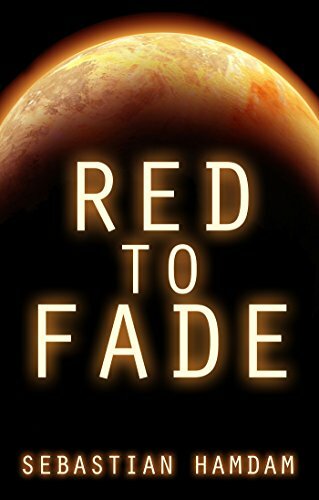 Genre: Post Apocalyptic Science Fiction Deal of the Day, Sponsor, Extra Terrestrial Virus, SciFi, Earth Dying. Rated: 5 stars on 1 Reviews. 421 pages. ASIN: B01BH4OT3Q.